When Preston North End went the entirety of the 1888/89 inaugural Football League season unbeaten, one man was the linchpin of their success. “I always maintain that no player has ever known as much about football and its methods than this old friend of mine,” was how Derby, Middlesbrough and England legend Steve Bloomer described him. Arguably the first true great in British football, Goodall had a career of firsts and records. He was the first player to score 20 goals in the Football League, the first player to be named top goalscorer in a Football League season, the first man to manage Watford FC, the oldest man to play for Watford and he and his brother became the first brothers to represent different national teams. Goodall started his footballing career in Kilmarnock, first with Kilmarnock Burns and then with Kilmarnock Athletic. It was with the latter that Goodall made his debut at the age of 17. The young forward was born in Westminster, London, on June 19th 1863, to Scottish parents. Goodall’s father, a corporal in the Royal Scottish Fusiliers, had been posted to Woolwich. By coincidence, John’s brother Archie was born in Belfast, and due to a Home Nations ruling at the time that a player was only eligible to represent the country of their birth, when Archie Goodall won his first cap for Ireland in 1899, the pair became the first brothers in the history of international football to represent different nations. It was in 1865, with John aged just 2, that Goodall’s family returned to Scotland, with his father being posted first to Edinburgh and then Kilmarnock. As a player at Kilmarnock, Goodall became well-versed in the passing style preferred by those north of the border at that time. He spent four years with Kilmarnock Athletic, moving on in 1884, aged 21, to get his first taste of English football in Lancashire with Great Lever F.C. The Bolton-based outfit competed in five FA Cup’s, although they never progressed beyond the Second Round. Whilst football in England was still officially amateur, Shamateurism was at its peak when Goodall joined Great Lever, with both the Football League and professionalism seeming imminent. He made his English footballing debut on September 13th 1884, at the Woodside Ground, where Great Lever played host to Derby County. It was the Rams first ever game. It would prove a debut to remember for Goodall but one to forget for Derby, who were beaten 6-0, with Goodall scoring 4. The Rams clearly never forgot the performance of the young goal-getter that day, and 5 years later Goodall would join Derby, but not before making history with Preston. After a year with Great Lever, Goodall was spotted by William Sudell, Preston chairman and one of the foremost figures in the professionalisation of the English game as an FA administrator. Sudell brought the 22-year-old to Preston in 1885, the same year professionalism became legal within English football. The Preston side recruited by Sudell, featuring a number of Scottish players, became immediately successful. In 1887, the club recorded what remains the biggest win in the FA Cup’s 145 year history, a 26-0 victory over Hyde, and also the biggest win in the history of English football, although Goodall will have been disappointed he only managed to score once in that game. Preston won an incredibly 42 consecutive games in all competitions in 1887 and 1888, a feat often overlooked due to their later ‘Invincible’ season. The clubs tremendous winning streak was brought to an end in March 1888 at the Kennington Oval, where they were beaten 2-1 by West Brom in the FA Cup Final. There would be no slip-ups the following season though, in the first ever Football League season. It was during the inaugural 1888/89 campaign that Goodall became British football’s first real superstar. He scored 21 league goals in 21 league games, adding a further two in the FA Cup, missing only one game all season, as Preston went unbeaten for an entire campaign in both the league and cup. He finished the season as top goalscorer, and the Football League had its first marksman. Preston finished the season with 18 wins and 4 draws from 22 games in the league and 5 wins from 5 in the FA Cup. They had a points tally of 40 and a goal difference of +59, emphatically seeing off second place Aston Villa, who finished the season with 29 points to their name and a goal difference of +18. It was also during the 1888/89 season that Goodall won his first cap for England, a 5-1 victory over Wales. Now the biggest name in British football, it was a major shock when John, along with brother Archie, transferred from Preston to Derby in May 1889. In what was in many ways one of the first ‘undisclosed’ football deals, the details of the brothers contracts were kept well under wraps, although it was fairly common knowledge that as part of the agreement they became the tenants of The Plough pub of London Road, Derby. Goodall spent the next eleven seasons at Derby, although he did not win a trophy with the club, he was still the central figure in what is considered one of the clubs golden eras. He arrived at a team who had finished 10th, 4 points off the bottom of the league. In his eleven seasons with the club, Derby’s league finishes read; 7th, 11th, 10th, 13th, 3rd, 15th, 2nd, 3rd, 10th, 9th, 6th. Alongside their three top 3 league finishes came three strong cup campaigns, reaching two semi-finals and one final. He was the club’s top scorer in three seasons and set a record which has been matched but still never beaten of scoring in six consecutive games for the club. Nicknamed ‘Honest John’ and ‘Johnny Allgood’ for his reputation as an absolute gentleman, Goodall was not as prolific at Derby as he had been earlier in his career. He was still regarded as Derby’s finest player for several years however, and became the first Rams player to represent England. 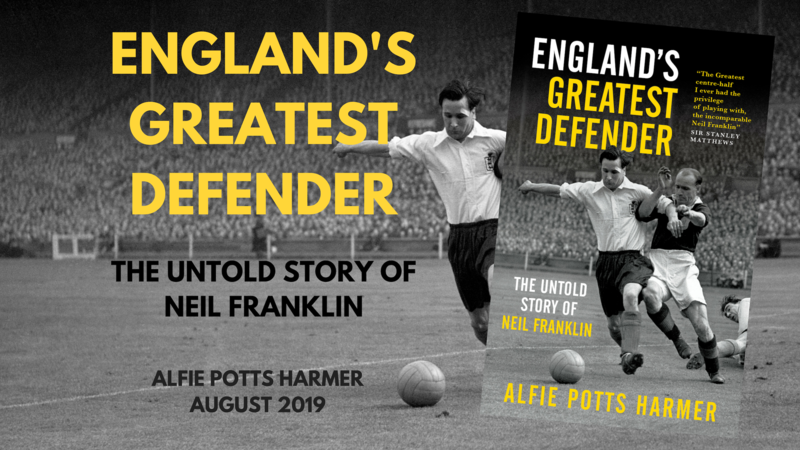 As important as his on-field influence, perhaps, was his mentoring of a young Steve Bloomer. The man now widely considered Derby’s greatest ever player was 15 years old when Goodall joined the club. Not only was Goodall a great mentor for the young Bloomer, but also an excellent provider. His passing and footballing intelligence were always regarded as two of Goodall’s finest attributes, and it was alongside Bloomer at Derby that he really put them to use, turning from poacher to provider. And a fine one he was too, Bloomer became the most prolific goal scorer of his generation; still holding the record as Derby’s top scorer and the top flights second highest behind only Jimmy Greaves. Although he did not leave the club until 1900, Goodall had his Derby testimonial in January 1896, in a game billed as ‘Derby County vs The Gentlemen of England’. Despite some atrocious weather on the day, roughly 5,000 spectators attended the match, raising £277, around two years wages for a top flight player at that time, as Derby ran out 4-3 victors. When Goodall’s time at the Baseball Ground was up, he was 37, but in no mind to stop playing the sport he loved. He signed for New Brighton Tower FC, based in Merseyside. The club were only four years old and Football League members for only two. Their ambitious owners signed a number of former internationals in a bid to get the team into the First Division, but crowds of 1,000 in an 80,000 capacity stadium saw financial troubles creep in and the team was disbanded in 1901, Goodall played only six times for New Brighton, scoring twice. He moved on to Glossop North End, where he spent the best part of three seasons, all spent in mid table in the Second Division, and Goodall managing 8 goals in 35 games. Now aged 40, few Football League clubs were still interested in ‘Honest John’ by 1903, so he took up a role as player-manager in the Southern League Division 2 with Watford. In doing so, he became Watford’s first manager, and a successful one too. He won the league and promotion to the Southern League Division 1 in his first season, recording the second invincible season of his career, as the Hornets won 18 and drew 2 of their 20 games that season. He continued to play for Watford until 1907, when he swapped his role as player-manager to simply manager, having notched up 62 appearances for the club, scoring 14 goals. He left Watford in 1910, having spent 7 years with the club, and took up a post in Northern France with the now defunct RC Roubaix. It was there, aged 47, that Goodall put his boots back on. He spent two years in France, before returning to Britain as player-manager of Welsh side Mardy in the Southern League once more. In 1913, aged 50, Goodall finally hung up his boots, retiring from both playing and management. He retired with a record of 150 goals in 370 games whilst playing in England, and 12 goals in 14 games for England, in an international career spanning 10 years, in which he was England’s joint top scorer in two seasons and also captained England on a number of occasions. Goodall was a curious character. An absolute gentleman no doubt, and a fine footballer to boot. He had worked as an iron turner during the early parts of his career, until football provided an adequate wage. A hugely talented sportsman, Goodall’s abilities extended beyond football, as he was also a skilled cricketer and an exceptional curler. Whilst playing for Derby he played cricket for Derbyshire, and represented Hertfordshire at county level whilst playing for Watford. A keen angler, golfer, curler and bowler, Goodall was quite the all-round sportsman. He also had an unusual penchant for domesticated wolves. Goodall often walked them on the pitch during the interval at Deepdale, and was seen walking them around the streets of Watford following his retirement. He never moved back into formal employment after retiring from playing and management, instead tending to an allotment where he grew vegetables for his family. Goodall died on May 20th 1942 in Watford, and was buried in an unmarked grave at Watford North Cemetery. The second oldest individual on the list of the 100 greatest Football League legends, Goodall’s name is now one scarcely known outside of Preston or Derby. He set no fewer than eight Football League and/or club records or firsts by our counting. Add to that those achievements which cannot be measured by numbers or statistics, such as being the perfect mentor and provider for Steve Bloomer and being one of the first Southern-born players to achieve major success within the game; Goodall certainly deserves his place alongside the likes of Stanley Matthews, Tom Finney and Bobby Charlton on the list of Football League legends.